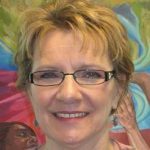 Denise joined Praxis International in 2008, bringing more than 3 decades experience in advocacy for battered women. She coordinated the development of the Blueprint for Safety, a ground-breaking intervention model that links criminal justice agencies in Saint Paul, Minnesota, together to promote a coherent, philosophically sound response to domestic violence. The Blueprint for Safety grew out of Praxis’s Institutional Analysis Program (formerly known as Safety Audits) that Denise originally managed. She is now responsible for implementing the Blueprint for Safety Demonstration Project with 3 communities while continuing to provide technical support to Institutional Analysis. Denise has a wide variety of personal interests, including music, reading, walks in the park, biking on local bike trails, learning about autism spectrum disorders, and progressive theology. Denise began her campaign against violence against women as a legal advocate in 1982. Since then she has provided support and expertise to women facing criminal, civil, and housing court issues. She has assisted women seeking orders for protection, challenged by child protection requirements, and confronting divorce and child custody decisions. She has worked in shelters, answered hot lines for domestic violence and sexual assault, worked in a hospital program focused on domestic violence, facilitated support groups for survivors, and provided general advocacy for women and children. She was a founding member of Hennepin County’s Domestic Fatality Review Team and served on the team for 12 years. She has trained volunteers, students, community groups, and criminal justice practitioners around the country on a variety of domestic violence-related issues. Denise has also participated in many local initiatives to develop policy and protocol to combat domestic violence.